"Our research suggests that there must be a planet-wide mechanism that ensures the exchange of bacteria between faraway places," said senior author Konstantin Severinov, a principal investigator at the Waksman Institute of Microbiology and professor of molecular biology and biochemistry in the School of Arts and Sciences at Rutgers University-New Brunswick. "Because the bacteria we study live in very hot water—about 160 degrees Fahrenheit—in remote places, it is not feasible to imagine that animals, birds or humans transport them," Severinov said. "They must be transported by air and this movement must be very extensive so bacteria in isolated places share common characteristics." Severinov and other researchers studied the "molecular memories" of bacteria from their encounters with viruses, with the memories stored in bacterial DNA, according to a study in the journal Philosophical Transactions of the Royal Society B.
Bacteriophages—viruses of bacteria—are the most abundant and ubiquitous forms of life on the planet, the study notes. The viruses have a profound influence on microbial populations, community structure and evolution. 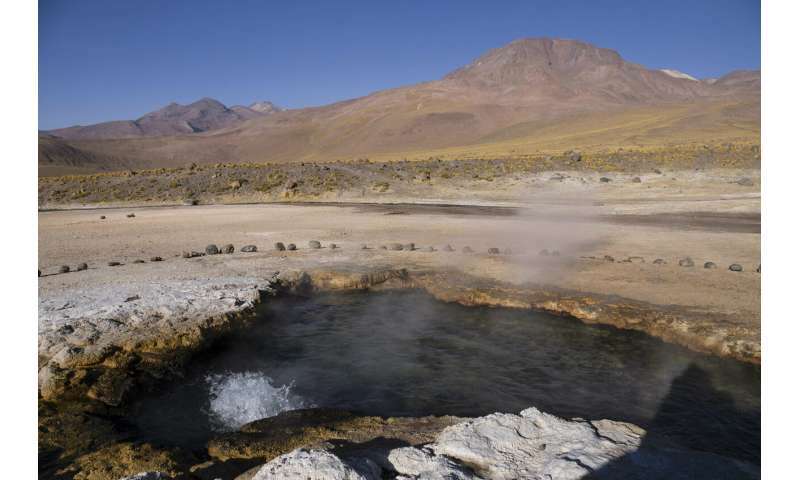 The scientists collected heat-loving Thermus thermophilus bacteria in hot gravel on Mount Vesuvius and hot springs on Mount Etna in Italy; hot springs in the El Tatio region in northern Chile and southern Chile's Termas del Flaco region; and hot springs in the Uzon caldera in Kamchatka, Russia. In bacterial cells infected by viruses, molecular memories are stored in special regions of bacterial DNA called CRISPR arrays. Cells that survive infections pass the memories—small pieces of viral DNA—to their offspring. The order of these memories allows scientists to follow the history of bacterial interaction with viruses over time. Initially, the scientists thought that bacteria of the same species living in hot springs thousands of miles apart—and therefore isolated from each other—would have very different memories of their encounters with viruses. That's because the bacteria all should have independent histories of viral infections. The scientists also thought that bacteria should be evolving very rapidly and become different, much like the famous finches Charles Darwin observed on the Galapagos Islands. 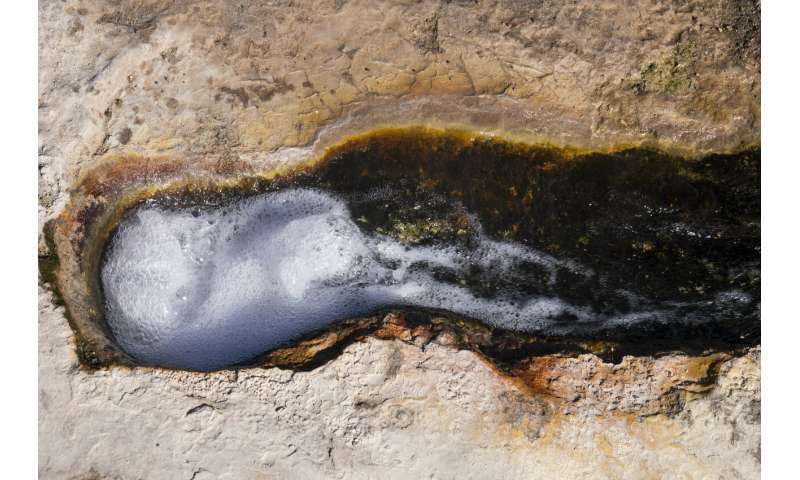 "What we found, however, is that there were plenty of shared memories—identical pieces of viral DNA stored in the same order in the DNA of bacteria from distant hot springs," Severinov said. "Our analysis may inform ecological and epidemiological studies of harmful bacteria that globally share antibiotic resistance genes and may also get dispersed by air instead of human travelers." The scientists want to test their air bridge hypothesis by sampling air at different altitudes and locations around the world and by identifying the bacteria there, he said. They would need access to planes, drones or research balloons.